Luck is an element that plays a role in every gambling game. Sure, some players come to the casinos feeling lucky but others have good reasons that lead them to believe they hold a bigger winning edge, such as people who use a betting system. The big question revolves around the effectiveness of betting systems. The main principle of any casino game is that the casino always gives you a lower-odds payoff that the actual winning odds of the game. For instance, in a 4-1 odds game, you will earn winning at less than 4-1, such as 3.5-1 or 3-1. This is how the casinos make a huge chunk of their profits. The idea behind any betting system is to give players a so-called way to circumvent the casino’s edge. But manipulating the betting size will not change the above-mentioned fact that the expected payout is less than the real odds. This is why no betting system is full proof. 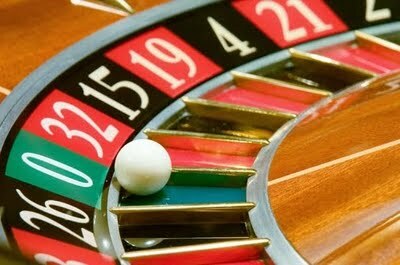 The Martingale betting system is arguably the most popular betting method used, especially during roulette. With this progressive system, the player is supposed to double their bet each time they lose. In other words, if the player bets $10, they will win $30. But if they bet $10 and lose, they have to bet $20 on the second round. If they win the second round, they will get their initial bet of $10 back plus $50 more. But if they lose again, they have to bet $40. This continues on until the player is finally ahead. The biggest problem with the Martingale betting system is that this system creates the same amount of losses over a long stretch of time as when a person does not use the system. This system also creates occasional big losses and frequent small earnings in a short period of time because for each short-term winning streak, there can be 20 or more subsequent losses. Generally, the player will quickly reach a point where they have hit the table’s maximum betting limit, meaning they will take a huge loss by the time it is all said and done. Instead of sticking to the Martingale, it is better to up your bet each time you win. Over the long haul, you will come out about the same but in a short time span, you will get some big wins and a bunch of small losses. If you decide to play this way, be sure to put a stop-play limit into place; otherwise, you could lose or just break even.